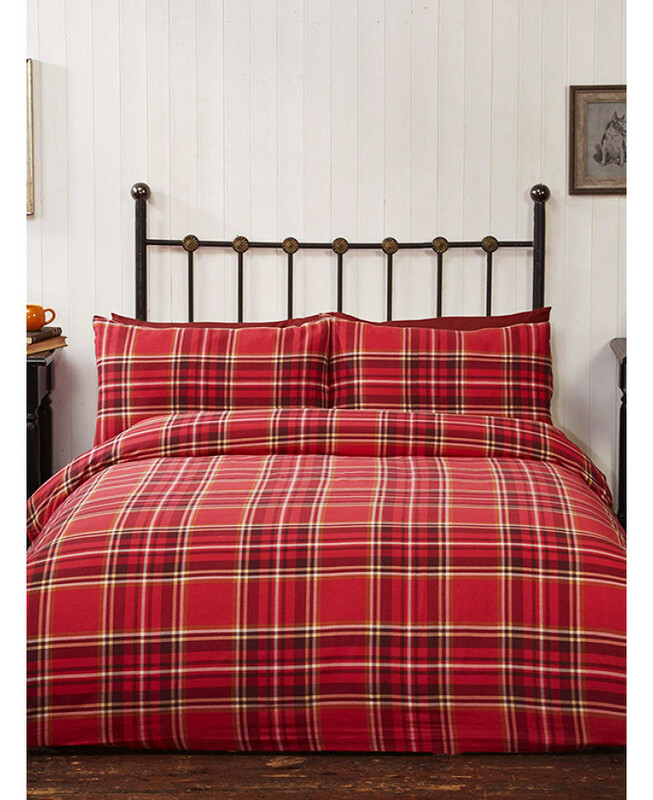 This beautiful Campbell Tartan double duvet cover set will add a stylish finishing touch to any bedroom. 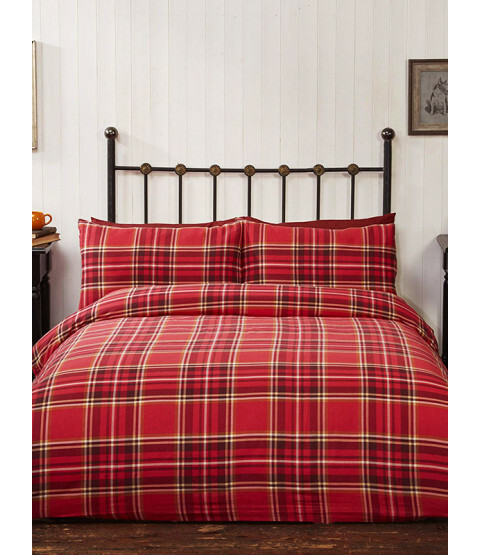 The design features a classic tartan check pattern in red with tones of plum, white and gold and a super soft finish. Made from 100% natural brushed cotton, this cosy bedding set is suitable for machine washing and tumble drying on a cool setting.